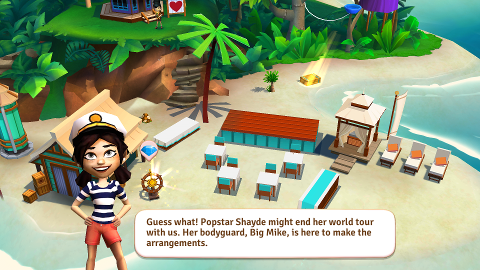 Pop sensation Shayde has had a very busy year of globe-trotting and performing for her adoring fans, with no time to rest. Big Mike, here bodyguard, has scheduled to make her final concert at here favorite vacation spot - your island! But there's more to it - it's actually Shayde's birthday, and Mike needs your help to plan the perfect surprise party. Wanting everything to be perfect, Kate sneaks Bridget the baker to take care of the menu. 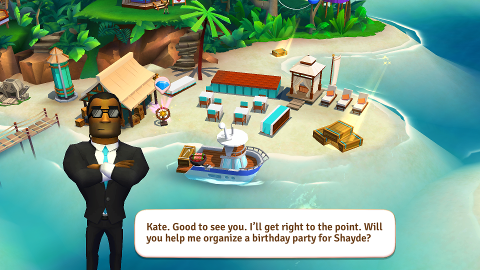 Could you take care of the other party details, while Kate, Chloe and Domingo keep Shayde busy to ensure the party is truly a surprise? 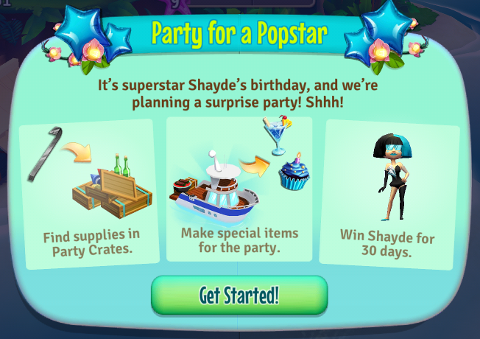 If you’re at least level 9, you will receive a pop-up to Shayde's Surprise Party. You will need to force-close the game to see the update, or even reboot your device. Start of the event by tapping at the Party Area where Shayde thinks she's going to perform at. Next, collect Party needs from Party Crates arranged by Mike. You will need Crowbars to pry these boxes open. 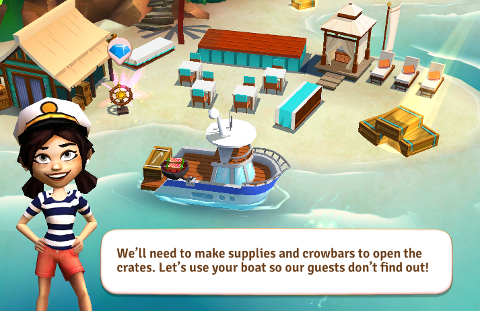 Create Crowbars and supplies at the boat so your guests won't find out. 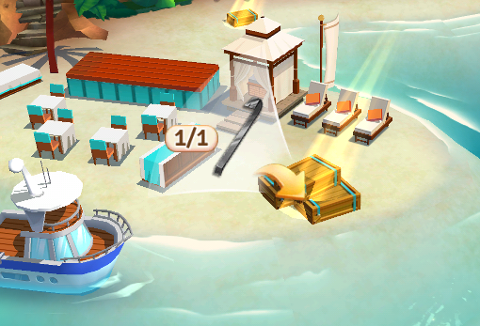 You will need 2 Steel Bars, which you can get from the different Landmarks, to craft them. 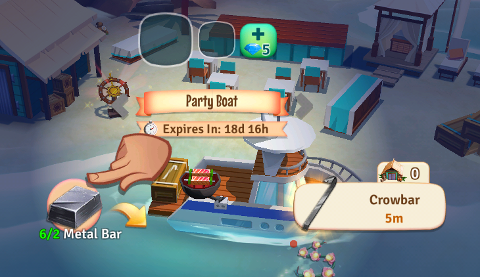 Gather the required Party Area decorations to complete each phase from May 18 to June 6th. 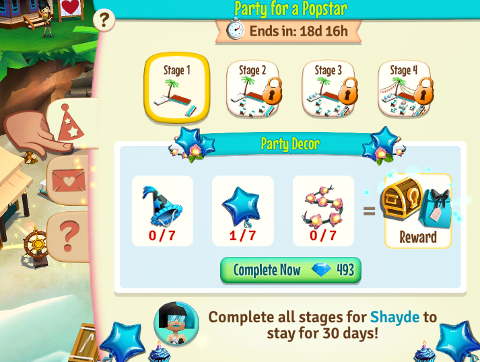 If you complete the final phase before the event closes, Shayde, the world-famous pop star will stay at your island as an exclusive guide for the next 30 days! You can pay for Big Mike's services to help you prepare for Shayde's Surprise Party. He will give you higher chances of finding rare Event items and more! 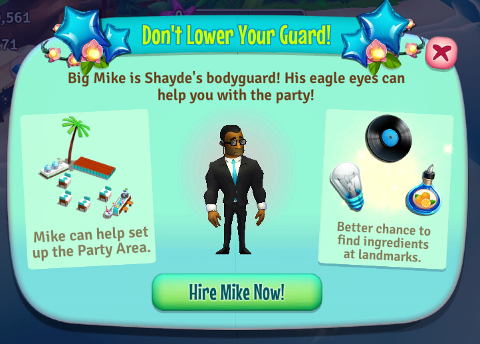 Be aware that he will go back to being Shayde's bodyguard once the party is over. 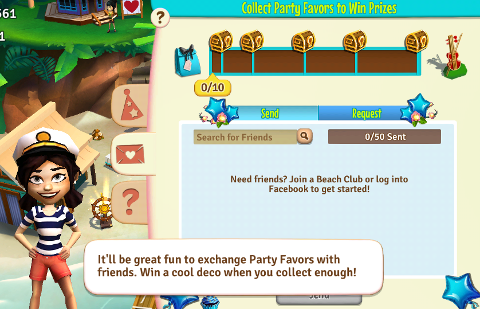 Bonus Feature: Collect Party Favors to win Prizes! Earn Party Favors by simply completing a phase, or receiving them from friends. 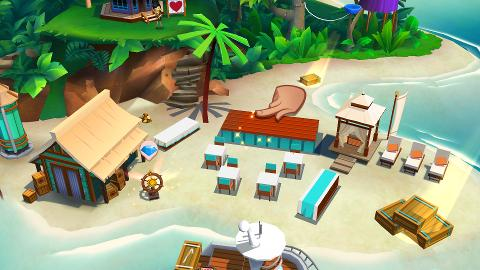 Reach the different Milestones for exciting prizes, including and exclusive Event deco!